Avg. Group Discount of 13.0%! The Hyatt Regency was so amazing! They even let us hold a team dinner/bonding in their lobby area. We are so thankful for them, we would definitely stay here again! 05-Mar-2019 Verified Review, stayed from Fri Mar 01 to Sun Mar 03 2019 at a $109.65 average nightly rate. Full service upscale highrise hotel. Prime downtown location, just steps away from the Performing Arts Theater and within 2 blocks of the new BOK Center (18,000 seat arena) and multiple restaurants and clubs. Day spa in lobby and full Starbucks cafe. All guests rooms offer complimentary high speed internet service. Attached covered parking garage. 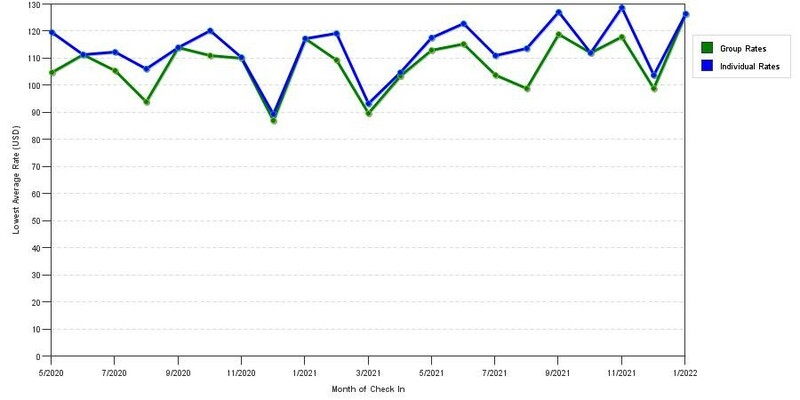 The chart above shows fluctuations of prices for both group/meeting quotes and the best individual traveler prices our system could find at the time the group/meeting bid was entered. The most competitive group or meeting displayed is 37.7% in the month of January 2017 and the highest average individual rate is $253 in the month of August 2019. This chart will show past seasonality and also project future months. If you are flexible with dates, you may want to consider staying at Hyatt Regency Tulsa in a month when rates are lower. 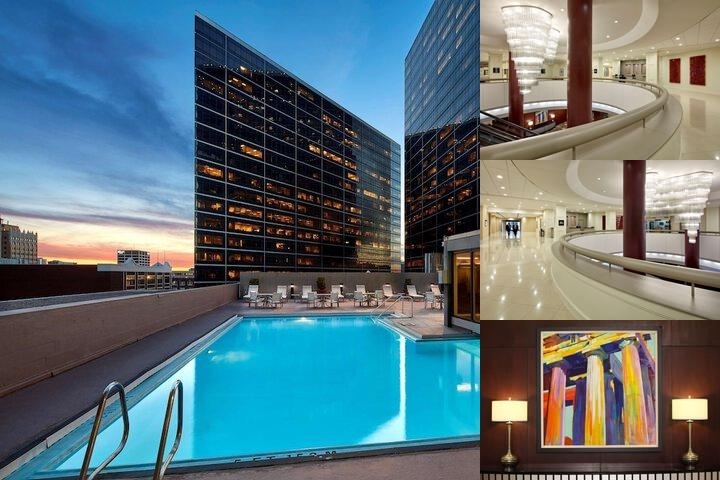 Below are the meeting, banquet, conference and event spaces at Hyatt Regency Tulsa. Feel free to use the Hyatt Regency Tulsa meeting space capacities chart below to help in your event planning. Hotel Planner specializes in Tulsa event planning for sleeping rooms and meeting space for corporate events, weddings, parties, conventions, negotiated rates and trade shows. 155 x 64 x 15 Ft.
177 x 53 x 15 Ft.
43 x 33 x 12 Ft.
30 x 24 x 10 Ft.
30 x 18 x 10 Ft.